Until yesterday, my keys to the TYO Center floated precariously loose in my purse. Luckily, our trip to Rawabi yielded not only a nice new keychain bearing the municipality’s insignia, but also some fantastic views and the encompassing warmth of promise and hope. 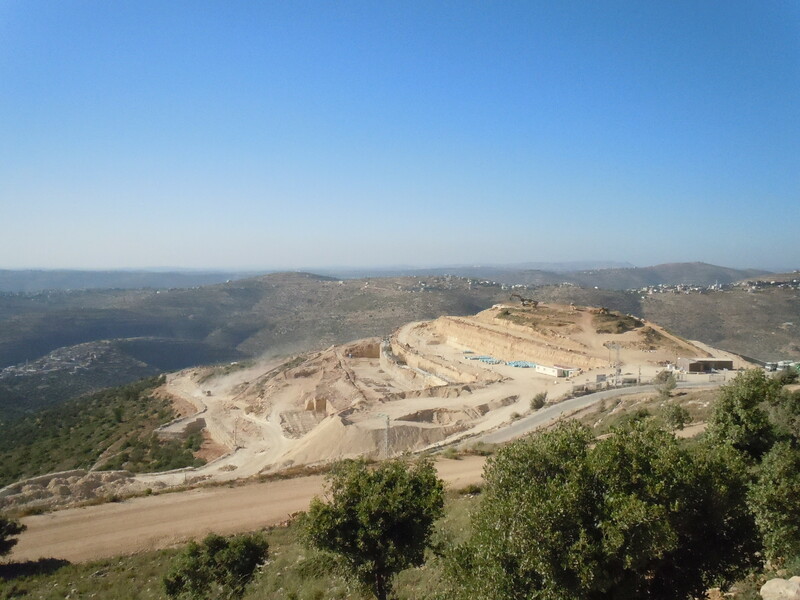 Rawabi is the first planned Palestinian city and an absolutely enormous undertaking for the Palestinian people. Set in the rolling landscape between Nablus, Jerusalem and Ramallah, Rawabi is literally translated to “hills” in English. The city is initially intended to provide affordable housing to 25,000 Palestinian families, with an eventual aim of 40,000 permanent residents. I was lucky enough to sit with Nisreen, the Executive Director of the Rawabi Foundation, as we settled into a spot on the city’s highest point for beautiful views and a-maz-ing tapas and juice. Nisreen had mentioned a plan to build a cultural center, museum, and outdoor amphitheater in a central location in the hopes of creating a cultural hub in the West Bank. Indeed, creating a sense of cultural pride can frequently boost a city’s identity beyond just an incidental collection of commercial and residential buildings. From years of jumping back and forth from northern Ohio to Los Angeles, I can attest to the importance of a Greek theater or Pro Football Hall of Fame to a city’s unique character. Even the – eccentric, we’ll call them – street artists on the Venice beach boardwalk create a sense of cultural pride. Nisreen and her team are spot-on with this one. As we gazed onto the hill that would eventually pulse with Palestinian music, art, and history, the TYO team had a moment of collective awe at the possibilities literally sprawled out before our eyes. Part of our goal here at TYO is to encourage kids to nurture their creative instinct – to appreciate their potential for self expression. Sitting on that hill with the dedicated team of the Rawabi Foundation, I couldn’t help picturing Leen curating an art exhibit, or Nirmin adjusting the lighting scheme for a visiting string quartet. Maybe Ayman will coach a youth soccer team in the Rawabi public park. Maybe I’m getting ahead of myself. But it’s nice to imagine that the same kids who walk through our classroom doors every day will soon have a major cultural outlet only 25 kilometers away. And in the meantime, check out Alex’s chalkboard-wall hybrid, Tala’s floor, or Samin’s sing-alongs for a sample of the kids’ creative efforts. DOA’A TAHA-BRAHIMI Consultant and Vice President, Grey Matter International, Ltd.
For those not in Washington, we WILL STREAM THIS EVENT LIVE at The Washington Note, The Palestine Note, and on the New America Foundation website and make it available for later viewing. While the city square is normally home to shoppers and families visiting the clothing shops, falafel stands, pastry shops, and my favorite: The Fruit Market of Sweet Satisfaction, it was thrilling to be among an expectantly waiting crowd of many times the usual size! The day was particularly joyful for local Nabulsi vendors, who I’m sure relished the business that poured in from all the visiting kunafa fans! Shown here is one of the ever-quirky date juice vendors, complete with his costume and juice contraption. Walking around, fellow intern Shahla and I had the pleasure of encountering two TYO families: girls and their mothers from Margaret’s dance and aerobics classes. 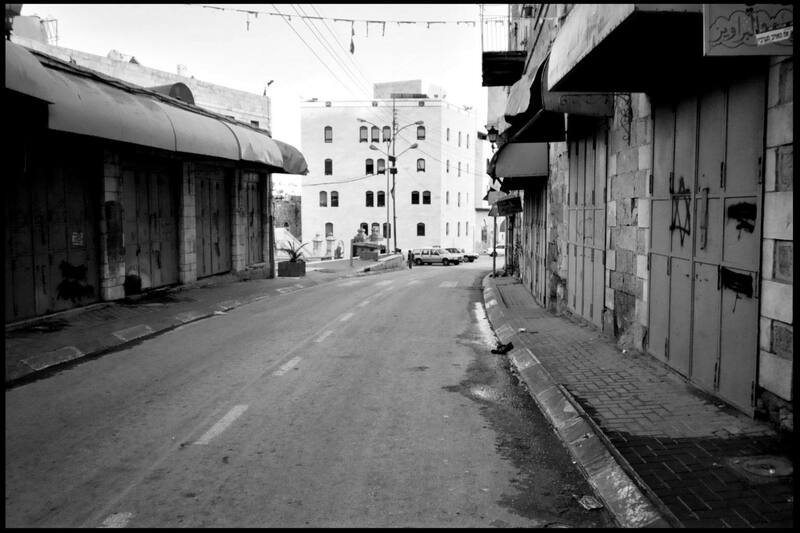 They were so enthusiastic, both to see us and for this momentous day for Nablus. It was a day of great pride for Nabulsis and Palestinians, and the international press paid attention! BBC News reported on the event, further adding to the positive international news coverage that Nablus has received in the past week. Be it a new movie theater, a giant kunafa, or consecutive games of “Thumbs Up Seven Up” in my sports and games class, Nabulsis have shown themselves to be more than ready to find joy in opportunities for lighthearted fun.